The gunman, Omar Mateen, pledged allegiance to the Islamic State while on a 911 call during the June 2016 attack on the gay club in Orlando, Florida. He later died in a shootout with police. Salman faces one count of providing material support to a foreign terrorist organization by helping her husband prepare for the attack, prosecutors say. She is also charged with obstruction of justice for misleading federal agents, according to her indictment. Salman has pleaded not guilty. If convicted on both counts, Salman could face up to life in prison. If convicted on both counts, Salman could face up to life in prison. During opening statements, federal prosecutors and Salman’s defense attorneys offered different portraits of the 31-year-old defendant. 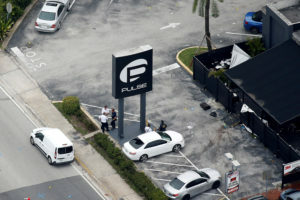 Assistant U.S. Attorney Jeff Mandolfo began his opening statement by telling the story of a Pulse survivor who sustained multiple gunshot wounds while hiding in one of the nightclub’s bathrooms. “None of the victims that night knew the horrific events that were about to unfold,” Mandolfo said. Defense attorney Linda Moreno, however, said that Salman was unaware of Mateen’s violent plot and that she was a victim of her husband’s abuse. Her “only sin was that she married a monster,” Moreno said. The trial is being held at a courthouse about two miles from the location of the now-defunct club, which will become a permanent memorial at least two years from now. Construction for a temporary memorial at the site began in February. Video and other details are expected to be made public for the first time during the court proceedings. The trial is expected to last three weeks, according to local media reports. Here’s what we know about the trial, and what we’re watching. Salman was raised in Southern California by her parents, who immigrated to the U.S. from the West Bank in 1985, The New York Times reported. A family spokesperson told The PBS NewsHour that she has three sisters and that Salman’s father, who died in 2006, owned a liquor store in California. In her first and only public comments since the shooting, Salman told the Times that she first met Mateen in 2011 on an internet dating site called “Arab Lounge.” They married within the same year, culminating in a second marriage for both of them. Salman and Mateen’s son is now 5 years old and being raised by Salman’s mother in California. Her connection to a violent and gruesome crime surprised her family and some who knew her, according to statements filed with the court. Her connection to a violent and gruesome crime surprised her family and some who knew her, according to statements filed with the court on behalf of the defense. In one of these statements, Salman’s high school math teacher described her as “as a quiet, sweet, gentle soul.” Her cousin described her as “very childlike” in her manner. Jeffrey Ringel of The Soufan Group, an intelligence firm based in Washington, D.C., said the federal government has a high success rate prosecuting federal terrorism cases, but few of the defendants have been women. According to George Washington University’s Program on Extremism, 90 percent of those who have faced domestic terrorism charges have been male. Why is Salman facing a terrorism charge? Motions filed with the court signal the prosecution will argue that Mateen was motivated by terrorism and not hatred toward LGBTQ people. Salman faces one count of aiding and abetting Mateen in his attempt to provide material support to a terrorist organization. This is a more severe crime than knowing about an attack and not reporting it to the authorities. “With an aiding and abetting charge, she had to have helped him in some way,” said Stephen Vladeck, a law professor at the University of Texas School of Law and an expert on the role of federal courts in the war on terrorism. Proving that Mateen’s motivation was terrorism and not personal hatred toward a specific group is not essential to justify a federal terrorism charge in this case, Vladek said. “The intent is fairly open-ended in federal terrorism statutes,” Vladek said. Whether Salman wanted to strike fear into the hearts of gay people or fear in all Americans, “both can be considered terrorism in the federal code,” he added. What will each side present in court? In the months leading up to the trial, batches of documents have been made public, many of them offering some hints about the legal strategy of both sides in this case. The government’s case will likely focus on a 12-page confession that Salman initialed and signed the night of the shooting. As the Pulse shooting unfolded, law enforcement officials visited Salman and Mateen’s home. Salman agreed to speak with FBI investigators. But after several hours of questioning, her story changed multiple times, according to federal prosecutors. In her confession, Salman wrote that she knew of her husband’s plans to open fire in the gay nightclub and that she had accompanied her husband while scouting Pulse and other targets, like Eve, a club five minutes away, or Disney Springs, an outdoor complex at the Walt Disney World Resort. Vladek said the government faces another challenge of proving Salman not only knew about her husband’s plans but that she intentionally associated with or contributed to it. Among other allegations, prosecutors say that Salman helped provide a cover story for Mateen as he traveled to Orlando for the attack. They also say Salman deleted text messages in which she told her husband what to say if his mother called to invite him to dinner. The defense may find it difficult to convince jurors that Salman was totally clueless to her husband’s plans, Vladek said. An aiding and abetting charge means Salman “had to have helped him in some way. Help could mean driving him to the nightclub knowing what he meant to do,” Vladek said. Harder to prove is that Salman knew the timing and scope of the attack and didn’t report it, Vladek said. Part of the defense’s strategy will rely on Salman’s relationship with her husband. 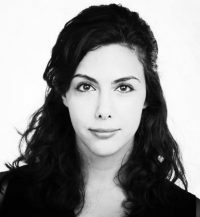 “In my expert opinion, Noor Salman is a severely abused woman who was in realistic fear for her life,” wrote Jacquelyn Campbell, a nurse who evaluated Salman as an expert in domestic violence in a court document. The defense plans to have this expert testify in support of their argument that Mateen was so abusive that Salman was afraid to question his behavior.